Despite lagging behind other southeast Asian countries in reducing poverty, India will still meet its target for 2015 under the Millennium Development Goals (MDGs), a report released here Friday by the UN said. The MDG report 2013 said extreme poverty rates have been halved for eastern, south-eastern and southern Asia, excluding India, five years ahead of the deadline. "Although poverty remains widespread in India, progress has been substantial. In India, the poverty rate fell from 49 percent in 1994 to 42 percent in 2005 and to 33 percent in 2010. If the current pace continues, India will meet the poverty reduction target by 2015," the report said. The MDG report is an annual assessment of global and regional progress and reflects the most comprehensive data compiled by over 27 UN and international agencies. The report, launched this week by UN Secretary-General Ban Ki-moon in Geneva, said: "Overall momentum is building for Asia to reach many of the MDGs by their 2015 target date." MDGs are eight international development goals whose indicators include poverty and hunger, health, gender equality, education and the environment. 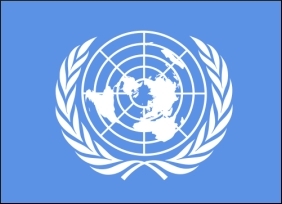 The MDGs were officially established following the Millennium Summit of the United Nations in 2000. The report lauded the Asian region for making remarkable improvements in several sectors like health, education and literacy. "Southern Asia has made remarkable progress in achieving some MDGs, but increased efforts are needed to meet others; eastern Asia and south-eastern Asia have met or are on track to meet most of the MDG targets," the report said. Is counterfeiting a major threat to SMEs?